Congratulations to Tiffani S. from Phoenix, Arizona! 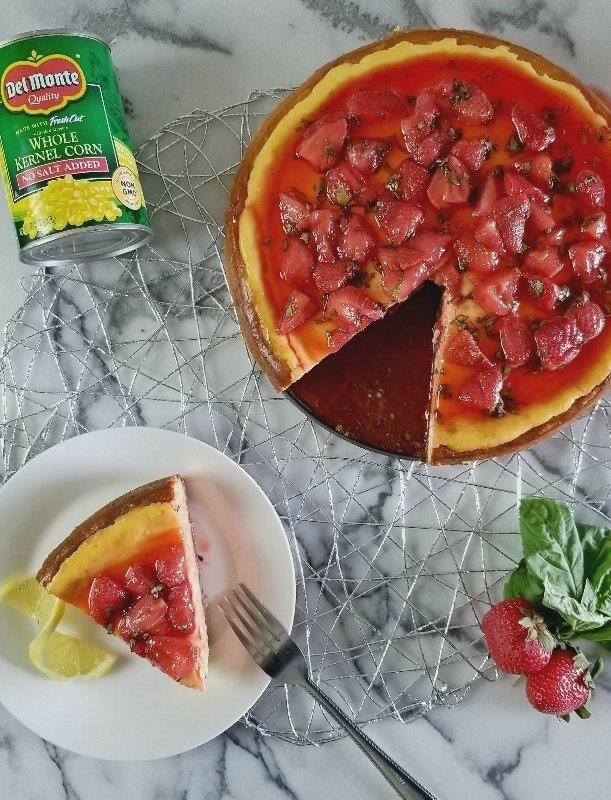 Her submission for Corn and Feta Cheesecake with Strawberry Basil Topping wowed our judges and earned her the $5,000 grand prize. Open to legal residents of the 50 United States and D.C., except Maryland and North Dakota and where prohibited, age 21 or older. Void in Maryland, North Dakota and where prohibited. Contest ends at 5:00 p.m. ET on November 13, 2017. For full official rules and to enter, visit www.foodnetwork.com/choppedchallenge. Sponsored by Television Food Network, G.P., 75 Ninth Avenue, New York, NY 10001.